Pre-script: In the post below, I keep using the murdered individuals’ full names because that’s their identity; their full names need to stick with us. Look them up for more information to keep yourself informed and see how you can help their causes. By now, the whole world should be aware that America’s “justice” systems allows white police officers to murder black people and get away with it (note to readers: do NOT bring up other minorities in this; this is specifically about blacks – let’s talk about this without saying “but we, too, are marginalized and oppressed and killed. F you so). I wish I could say I *cannot* believe this is still happening and that it still needs to be said over and over that “black lives matter!” but there’s nothing surprising about how black lives actually don’t matter, given America’s dark, vicious, racist history. America was founded on the oppression and slavery of black people (and Native Americans), and centuries of the supposed “emancipation” of blacks has not ended the persecution of black people here. At the rate things have been going in America, it seems unlikely. But what gives me hope is that there have been protests all over the country in support of Eric Garner, Michael Brown, Larry Jackson and the thousands of other blacks, primarily men, killed by white police officers or other white Americans, and the latter were never convicted or indicted for their crime. There’s nothing shocking about this. Ever since its earliest days, white America has been feeding everyone, including black people themselves, this pitiful lie that black people are lazy, stupid, criminal-like–and you see this comment being made in virtually EVERY article being written online in response to all these protests against police terrorism against black people. The European slave owners who came to this country who were themselves too lazy to get anything done and brought in actual human beings from Africa to build this country to make it everything it is today — these white slave owners would make their slaves get drunk on their days “off” (if they ever did allow them to have days off) so that they would never taste what freedom is like and thus never imagine or desire it. These whites would keep the black slaves drunk, and then they’d accuse them of being lazy and stupid. Black people have historically been given made to to do everything they’re being accused of today. The ultimate criminal isn’t the black person–heck, the black person is not the criminal at all–the ultimate criminal is the white supremacist, and America is inundated with them. Basically, what would happen was: the only time that most slaves would be given off while working on the plantations was during Christmas and New Year’s–BUT! That whole time, they’d be given alcohol to get drunk. Why were they kept drunk? To make sure they don’t know what freedom is like; they weren’t able to actually experience their freedom during that time off because they were kept drunk. And then those same white slave owners would turn around and accuse the slaves (blacks) of loving alcohol and being drunk. Every single problem without any exception whatsoever that black people are facing is a direct, immediate consequence of their past as slaves. This includes the kinds of housing and neighborhoods and communities that black people live in, the kinds of schools they go to, why they are commonly associated with sports and athletics, why there are significantly more blacks in prison than whites (no, it’s not because blacks are more likely to commit crimes), and so on. Everything goes back to the past. And, also, check this out – five ugly and uncanny parallels between lynching and police killings in America. 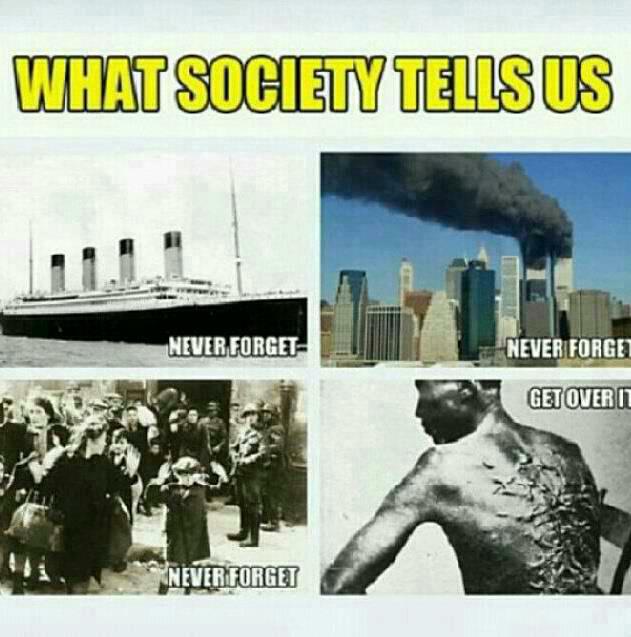 No, dear white racist Americans (and all other racist people), blacks should NOT “get over” their past. You are the ultimate reason of every single problem they’re facing today, and you dare to tell them to get over that disgusting past you played an utmost important role in? I don’t care that YOU as an individual were not involved in enslaving them and that it was your ancestors. You see, it wasn’t the current generations of blacks who were enslaved; it was their ancestors who were enslaved–but yet, it is THESE generations who are suffering the consequences of their slave past, so don’t you dare pretend like it’s not your problem just because you weren’t alive before the 1960s. God, I have so much to say about this. I was a TA for The Black Power Movement class this semester, and I learned so much that I had been meaning to blog about weekly at least. InshaAllah, I’ll share that knowledge in future posts. But now, I want to dedicate just a little bit of time to the black male victims of American police terrorism. This is a good link that tells the stories of TWENTY unarmed black men killed “because” they appeared suspicious. I’ll share some of them here (in no particular order). Rest in peace, young soul; rest in peace! May your battle for your recognition as a human never go in vain, and may your legacy live on forever, aameen. May God bless you and your family. 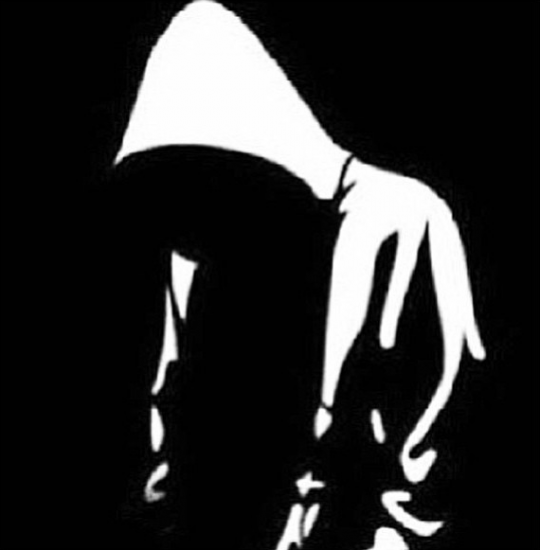 Ordinary Americas, however, took to streets in support of Martin, wearing hoodies (associated, in America, with crime and black people), and many changed their Facebook profile pictures to the image on the left. 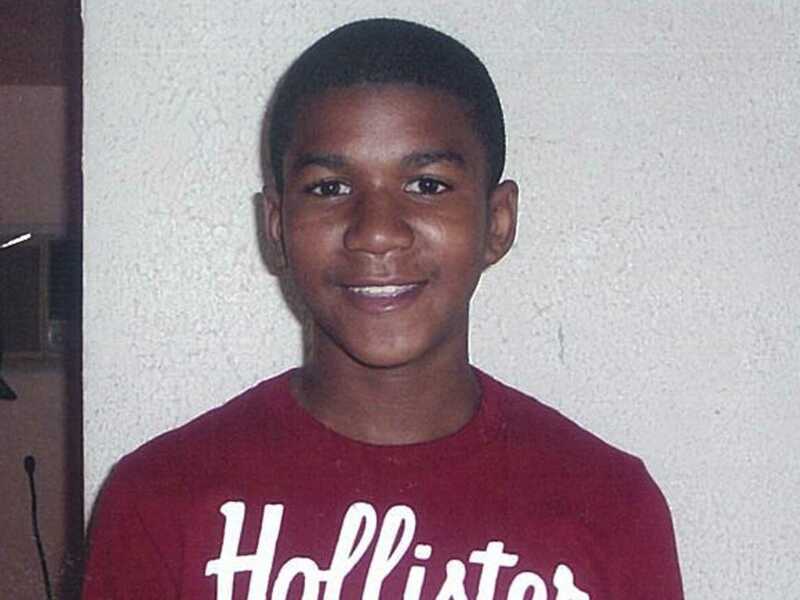 Trayvon Martin – that smile!! Larry Jackson. 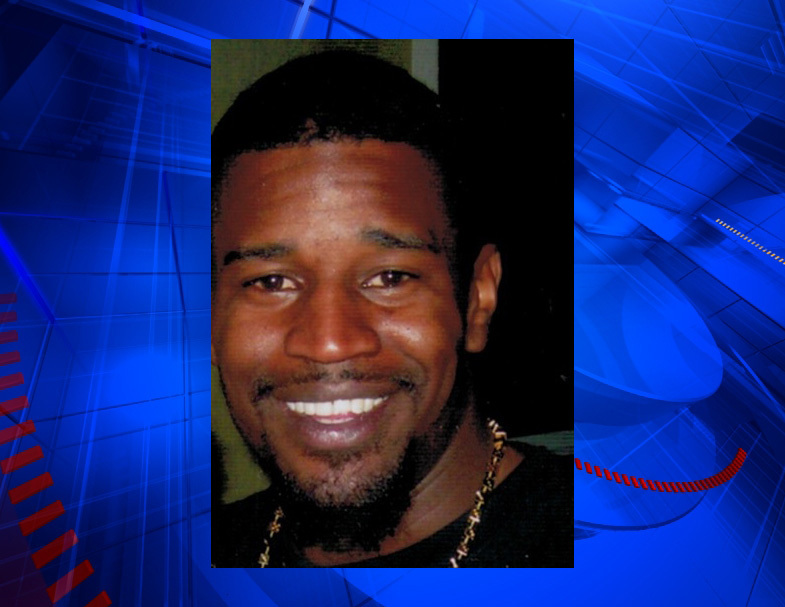 This 32-year-old black man was murdered on July 27, 2013 by an Austin Police Department detective on July 27, 2013. Jackson was seen by a bank after a robbery (and because he’s black, the detective had no doubt that Jackson would be involved in the robbery because black men are always the target of robberies and other crimes in America). The detective chased after Jackson and, in doing so, the detective demanded and received a ride form a motorist on the street to catch Jackson. No one’s sure what happened exactly (not that that should matter at all) because the murder took place underneath a bridge, and Jackson was killed with one shot to the back of his head. Larry Jackson’s killer’s name is Charles Kleinert. As with Trayvon Martin’s case, a lot of protests have been taking place throughout America in support of Larry Jackson. The pre-trial for Kleinert, Larry Jackson’s murderer, was postponed *five* times until December 5th 2014 (the first time it was scheduled was June 24, the second August 1st, then August 26th, then October 1st, then November 12th – and finally December 5th). 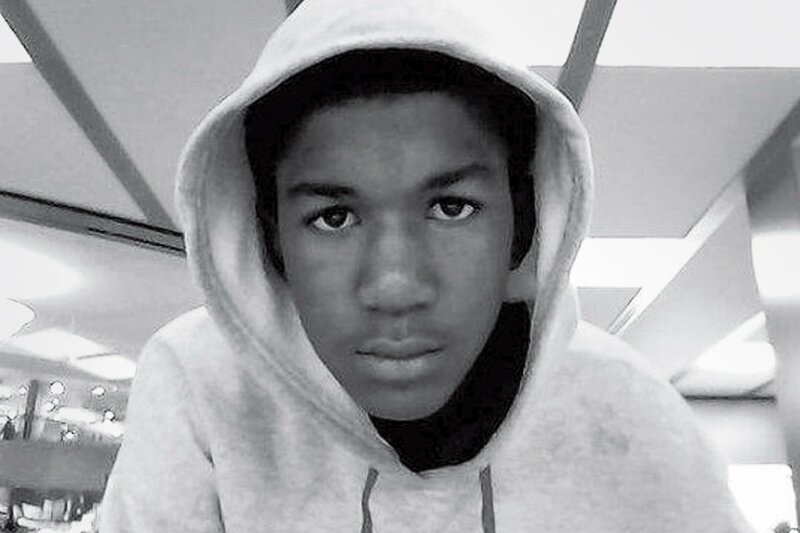 The trial will be taking place on April 20, 2015, and, just as in other cases of police-on-black terrorism, it is quite likely that the police forces here will be doing everything in their power to use the next few months to find “evidence” to criminalize the the victim and idolize the murderer. Here’s a link with some important information about the Larry Jackson case. Other black men killed in Austin, Texas, by Austin Police Department officers *that we know of* include Nathaniel Sanders (18 years old, murdered May 11, 2009), Kevin Brown (25 years old, murdered June 3rd, 2007), and Byron Carter (20 years old, murdered May 30, 2011). Rest in peace, Larry Jackson, Nathaniel Sanders, and Kevin Brown. May your souls be blessed, and may your families be blessed with peace and patience in coping with your losses. May they find solace in the fact that your murders will not go in vain. Aameen. 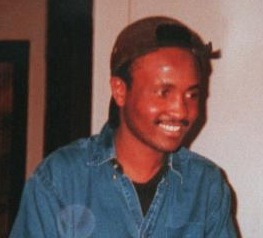 Amadou Diallo. On February 4, 1999, Amandou Diallo was shot at 44 times as he entered he was entering his home after a hard day of work; he was killed in the doorway of his apartment. The police who killed him claimed that they thought he was reaching for his gun and was going to shoot them – Amadou Diallo was actually reaching for his wallet. Amadou Diallo’s killers were indicted on charges of second-degree murder and reckless endangerment. But a grand jury acquitted all of them. Rest in peace, Amadou Diallo. God bless your soul; may you be rewarded with the highest level of paradise for the injustice you faced, and may your family find peace in coping with your loss, even over a decade later, because no death, an unjust murder at that, ever gets old. Eric Garner. I watched the video in which Eric Garner’s shooting is recorded from the time when the cops get to him, even as he tells them to leave him alone and that he’s tired of their harassing him all the time, all the way to the end when he’s actually dead … after saying “I can’t breathe” (hence the #icantbreathe trend on Twitter and Facebook – alhamdulillah for social media) and dies. The video is disturbing, but please do yourself and humanity a favor and watch it anyway if you can handle it (the man who recorded the whole thing has been indicted – no surprise there, either, America). 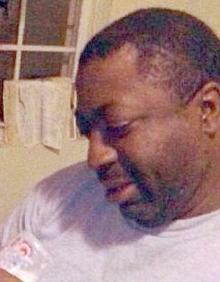 Eric Garner was murdered on July 17, 2014 in Staten Island, New York, by a chokehold (for 19 seconds!!) from a police officer. This was an NYPD officer named Daniel Pantaleo. Eric Garner was 43 years old. Eric Garner’s case has also attracted a lot of national and international attention, thankfully, and protests are taking place all around the world in solidarity with him and his family. Check this out (New York protests) and this (a protest in Paris – pardon the source for the latter…). Rest in power, Eric Garner. Rest in power. May God bless you and your family as the world watches intently at the injustices you and your family have endured. Michael Brown. 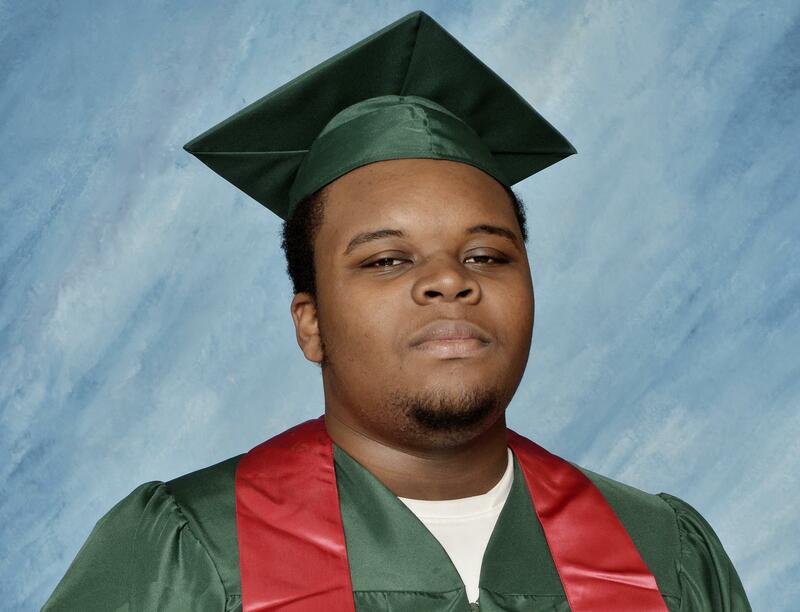 Mike Brown was 18 years old and killed on August 18, 2014 in Ferguson, Missouri. His murderer is Darren Wilson, a white police officer. This incident unleashed the racial tensions in the Ferguson, where the majority of the residents are blacks BUT the majority of the city government and police are whites. Since the murder of Michael Brown also led to protests across the country (and world), police forces have been dealing with it in rather problematic ways to quell the protestors; check this link out, for instance: Police fire tear gas to quell protestors, and many of the police in Ferguson who are dealing with the protestors are Israel-trained. Since Palestinians are far too familiar with the reality of being teargassed by Israeli soldiers, Palestinians stand in solidarity with Ferguson, and they even tweeted advice to Ferguson protestors on how to deal with teargas and the violence from the police; Palestinians also issued a statement to express solidarity with Ferguson and Mike Brown. Rest in peace and power, Michael Brown! May your legacy live on till the death of eternity, and may your murder never go in vain. God bless you, and may your family be blessed with the patience to be able to cope with your loss and to find peace in knowing that the entire world is standing up for you. Aameen. There are a lot more names to be remembered here. I’ll continue this list another time. This entry was posted in human rights, I can't believe this needs to be said out loud, social justice and tagged Black lives matter, black people killed by police in America, Islamophobia, social injustice in America. Bookmark the permalink. Black lives do matter! And I cannot believe it has to be said out loud either but no one is listening to Black voices. I know this because everyone keeps finding excuses for Black deaths in custody in America. In a country that had community lynchings not too long ago. In a country too quick to send a Black man OR woman to jail but too slow, painfully slow to grant justice. In a country that openly conditions through the media, the entertainment industry even PSA’s, to condition the population to perceive Black people as uniquely violent or criminal. I know this so bloody intimately because of Mulrundi Doomagee, Eddie Murray, Julieka Dhu, TJ Hickey and countless other Black Australians being killed in custody. I know you wanted to speak specifically about the US but the rate of incarceration of Black Australians rivals the rate of Black Americans. And it goes on because to acknowledge Black voices means to acknowledge the very land you stand on was bought with blood and dispossession. I for one stand with Black America, First Nation’s America as I stand with Black Australia. It freaking breaks my heart. Great post. Thanks, always, for your insight, DL! Your comment is still about black people and their right to their humanity, so no problem at all! Doensn’t matter if it’s in America or Europe or South Africa or Australia or elsewhere – so long as they have their rights to freedom and equality. I didn’t know about the individuals you mentioned, so thank you for sharing that information. It all really is heartbreaking. And the same damned thing happens to blacks and people of colour in Holland, too. (Though not as extreme as in the U.S.) An unarmed Hindustani-Surinamese youngster was shot dead at a train station. My own uncle has been wrongfully arrested twice or thrice. And when people protested against black Pete -a blackface tradition part of a Dutch folk fest, Sinterklaas (Yes, the name “Santa Clause” came from Holland), at first ONLY the black people were asked for an ID and taken out of the rows. About Amadou Diallo: Wyclef Jean & Yusuf Ndour made an excellent song about his murder & the outrage within the black community about it.